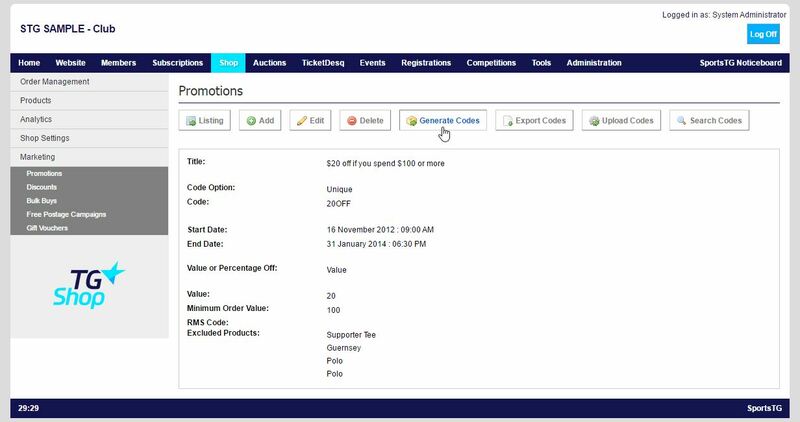 Once you have set up a Promotion Code and selected Unique as the Type of code, you will be able to then generate your codes. 1. Login to the console, and select Shop from the top menu, then Marketing from the left menu. 5. Enter in the Prefix of the Codes and the Amount you would like to Generate. Units - How many unique codes you require. For eg. 1000 to generate 1000 unique code words. 6. Select Generate to download all the codes in an Excel spread sheet.